Nationwide truck wraps manufacturer, JMR Graphics, comments on MacArthur Airport’s efforts to revitalize their indoor and advertising efforts. According to an October 7th, 2013 article published by Aviation Pros titled “Departure Media Airport Advertising Takes Flight at MacArthur Long Island Airport”, MacArthur Airport, located in central Suffolk County on Long Island, is working to “revive the airport’s indoor and outdoor advertising network by introducing competitively priced, state-of-the-art technology, spectacular wall wraps, floor exhibit displays for boats and automobiles, and large-format graphics to entertain and inform passengers.” All of these displays will provide “added value” for not only the airport but for the local brands they each promote, such as vineyards, small businesses, tourist information and cultural organizations. Approximately one million Long Island passengers and visitors utilize MacArthur’s services on a yearly basis, making it a gold mine for local advertisers looking for large-scale exposure to relevant audiences. Some ways brands and companies can advertise will be through TV ads displayed on digital monitors throughout the airport, spaces for large-format graphics and decals, or sponsorships for a children’s play area and a recharge/relax station. Digital video ad spending has skyrocketed in recent years and continues to grow at a rapid pace. According to eMarketer, video ads accounted for 7.9% of total advertising spending in 2012 and in four years it is predicted to increase to 14.5% of all advertising spending. In the article, The Rise and Rise of Denver-based Advertising Start-up Altitude Digital Partners, MediaJobs.com analyzes what the amazing success of Altitude Digital Partners will mean for the digital advertising industry and those seeking digital marketing jobs in the industry. The article reveals how this brand new online display and video ad tech firm has managed to stay in front of recent industry trends - including the shift to online video - and managed to beat other advertising firms to the punch by providing a new product that advertisers are clamoring for. Readers will also learn how Altitude Digital Partners unique platform is able to make a connection between publishers and advertisers and make the entire process simple and streamlined. Readers will become informed as to exactly how the company was founded, how the founders discovered an untapped market and were able to start the business with basically nothing and now are able to generate $ 28 million a year in annual revenue. The article discusses how this has an effect on the digital advertising industry with the addition of 80 employees after starting with just one in an amazingly short period of time just four years. The company, which was listed last year at number 54 on the list of fastest growing U.S. companies by 500 Inc., can educate many digital marketers by giving them a lesson on how to stay on top of industry trends, target a specific demographic, offer something new and innovative and tap into a completely untapped market. The digital marketing industry continues to grow and chance at a spectacular pace and those seeking digital media jobs need to be educated and up-to-date on the current news and trends. These changes are of significant importance to those currently in the job market. In order to stand out from the crowd, job-seekers need stay on top of what is happening in order to achieve success in this industry. 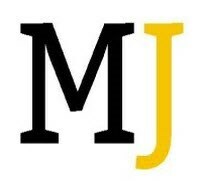 MediaJobs.com presents news coupled with insights such as these to arm strategic job seekers with the knowledge and skills that they need to succeed. On July 1, nationwide trailer wraps manufacturer, JMR Graphics, comments on The Australian Literacy and Numeracy Foundations Wall of Hands campaign that is incorporating outdoor and digital advertising into their strategy to increase awareness. According to an article published on June 28th, 2013 on http://www.bandt.com.au, titled, Charity raises outdoor and digital advertising, The Australian Literacy and Numeracy Foundation (ALNF) Wall of Hands campaign is using interactive tactics, like touch screens, mobile technology and social media to spread awareness for its cause. Charmain Moldrich, CEO of the Outdoor Media Association (OMA) says, Using digital technology and linking it with social media is a growing part of our industry, very relevant in todays and future markets. The demonstrated ability here to bring together a broadcast mass-medium with a targeted and personal medium in the same campaign is incredibly exciting. The campaign includes two interactive screens with built-in cameras. Pedestrians can use the screens to take pictures of themselves raising their hands in support of the campaign with the option to share their photo on the big screen, visible to all shoppers in Sydneys Westfield Bondi Junction. Users can also download their picture to their smartphone and then share it via social media with details on how to donate included. ALNFs goal for the campaign is to raise $ 40,000 to support literacy programs for children in the remote Northern Territory community of Groote Eylandt. TJ Pannell, representative from JMR Graphics, a nationwide trailer wraps manufacturer, thinks the campaign made a smart move in choosing the outdoors as their location for the ads. Theres no denying that outdoor ads provide the most visibility no matter what is being advertised. Outdoor advertisements are a smart tactical move for any brand or initiative looking to spread mass awareness. JMR Graphics is an award winning Nationwide 3M Certified Manufacturer of Graphics for over a quarter of a century. We specialize in branding companies through Fleet Graphics, Vehicle Wraps, Architectural Wall Graphics, Promotional Window Clings, Floor Graphics, Event Signage and much more. We offer a variety of 3M Graphics Films, which are specially designed for most surfaces that require a changeable, short and long-term application. Our exceptional Turn Key Service is backed with a 3M MCS Warranty to give you peace of mind when you need optimum performance for the intended life of your graphics. With our state-of-the-art, cutting-edge facility we inspire our clients by providing creative design, custom-printed graphics and handle a network of nationwide installers. JMR Graphics provides expert capabilities and capacities needed to meet any graphic challenge. Today, Sonoport (Asia) Pte Ltd, a leading dynamic sound technology provider for interactive applications, announced the first Sound-as-a-Service solution to bring interactive sound to mobile apps, web ads and smart displays. In partnership with Buddy Platform, Inc., the service is available via Buddy.coms Sound as a Service API set on http://www.buddy.com. The API provides developers access to over 20,000 professionally produced, royalty-free sound effects. Sound-as-a-Service is a new category that will optimize media campaigns based on sound. By providing the sound files as a web API, Sonoport and Buddy are enabling creative developers to easily audition and add sounds to their projects, eliminating the cumbersome searching and purchasing of each sound file before integrating with a visual element. When combined with Sonoports dynamic sound tools, extensive sound design capabilities previously available only to large game or film studios are now within reach of all developers, enabling them to create great sound experiences and drive consumer engagement. Sonoport CEO and co-founder, Fredrik Brostrom, said, We see an imminent industry transition centered on sound. The past decade has seen the transformation of visuals - from text to static images to fully rendered, interactive 3D graphics on the web and mobile. We believe the same transition is about to happen for sound and, by powering Sound-as-a-Service, Sonoport is uniquely positioned to enable entire digital interactive market verticals to take advantage of the massively enhanced experience that sound provides. Buddy is a leading backend-as-a-service (BaaS) mobile app analytics provider, with over 15,000 developers and more than 16,500 applications built on its platform. Buddy.com CEO and co-founder, David McLauchlan said, Were thrilled to be releasing Sound-as-a-Service with Sonoport today, as a key component of our platform to enable developers to create great experiences in mobile apps. We look forward to driving increased user engagement in apps, and to providing publishers and advertisers with much richer analytics and engagement data. To bring Sound-as-a-Service to market, Sonoport is creating an ecosystem of partners, including leading digital agencies such as BLKBX Creative Group based in Hollywood, CA. BLXBX recognizes the unique technology that Sonoports Sound-as-a-Service offering brings to the digital media landscape. It is a key enabler in the next generation of online marketing for the entertainment community, said Frank Donner, President of BLKBX and Academy Award Nominated Producer. Sonoport (Asia) Pte Ltd is a Singapore based provider of sound technology to revolutionize the interactive experience across mass-market digital applications including mobile apps, ads, web and smart displays, across all platforms. Digital applications powered by Sonoport feature a richer experience leading to greater user engagement and significantly higher ROI for app developers, marketers and advertisers. For more information, visit http://www.sonoport.com. Buddy Platform, Inc. is a Seattle-based provider of technology to power, optimize, and measure cloud-connected apps on all platforms including iOS, Windows Phone, Android, SmartTVs, Facebook, HTML5, Windows 8, and other connected device platforms. For apps powered by Buddy.com, the company curates metrics used to track mobile engagement, providing rich analytics to marketers, publishers, and advertisers. For more information, visit http://www.buddy.com. On May 27, JMR Graphics, a nationwide truck wraps manufacturer, comments on an article from The New York Times about new outdoor advertisements by Autism Speaks. According to the article from The New York Times, Autism Speaks is launching a new advertising campaign to help parents detect early signs of autism. The campaign is targeted at Hispanic and African-American parents because the diagnoses in these groups, according to the Centers for Disease Control and Prevention, are above average. Peggy Conlon, president and chief executive of the Ad Council, says that the new campaigns present realistic situations parents will identify with. I believe they will help more minority parents speak to their doctors if they see the signs and get their children the intervention they need. The advertisements by Autism Speaks are featured across various mediums, including outdoor advertising. One ad features a photo zoomed in on the closed eye of a baby, along with the question, "How can a 12-month-old keep you up at night without ever making a sound? No babbling is one early sign of autism." The text also appears in Spanish with the assistance of LatinWorks. Representative TJ Pannell of nationwide truck wraps manufacturer JMR Graphics believes that these advertisements will make a difference. Its important to know who youre trying to reach when creating an advertisement, he says. Its great that Autism Speaks can get these statistics to spread awareness about autism to the people who need it most. By putting the information in outdoor and other settings, the message will get across to the maximum number of people. Experience Advertising, Inc., a leading online marketing agency, has released their latest infographic on the growth of social media advertising. Social media advertising has increasingly become central to the online marketing budgets and strategies of all sizes of companies, due to the fact that social networks like Facebook, Twitter, and Pinterest have grown tremendously in the last 3 years. People are spending large amounts of time on social networks, so it has become imperative for companies to leverage social networks through community building and effective advertising. 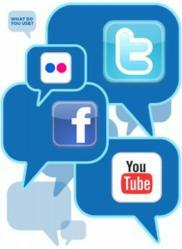 Recently it has been predicted that the percentage of revenue generated by social media will increase by 19 percent. (Source : BIA/Kelsey - an advisor to companies in the local media industry). Evan Weber, CEO of Experience Advertising, stated, "Effectively advertising on social networks like Facebook and Twitter has become just as important has effectively advertising in Google and Yahoo search. Therefore, companies need to be devoting marketing budget to growing out their communities on social networks as well as making their social network advertising have a positive ROI." Social media advertising derived revenue in the US is expected to grow from $ 4.6 billion in 2012 to $ 9.2 billion by 2016. The Local portion of the US social media ad revenue is expected to grow from $ 1.1 billion in 2012 to $ 3 billion in 2016. This growth is why 2012 has come to be known as the year social media came of age. Facebook Sponsored Stories and Promoted Tweets grew tremendously in 2012 and are expected to continue to grow year over year. Native social advertising is branded content that is blended into the experience of a social network. (Source : the market analysts at BIA/Kelsey). Spending on native social advertising will surge from $ 1.5 billion to $ 3.9 billion in 2016. Twitter: The brevity of Twitter has secured its place within the Internets landscape. People are far more like to read these succinct tweets as opposed to a lengthy advertisement. Facebook: Facebook caters to more detail. Here you can see videos, photos, and more accurate descriptions. A study attributes 84% of engagement or clicks to Like that link to Facebook ads. Brands increase fan counts on average of 9% monthly. Foursquare: This is location-based, prompting users to check into certain places with their smart phones. When people feel a sense of pride toward something, even if it is ironic, they are likely to stand behind it. Users will get rewarded for being loyal. Free food, discounts, or privileges can be yours if you are mayor of a specific location. Google+: Google+ allows you to work with many of Googles suite of tools, like Google AdWords and Google Maps, in addition to their search engine. Many individuals like this sort of all in one approach. This allows for targeted advertising and navigation services. Instagram: Instagram has a very loyal following. It is a free photo-sharing app and social network that swept the Internet in 2010. Over 100 million people use Instagram, and the number will likely continue to grow. You can follow other people, they can follow you, thus ensuring you are well connected to all of your friends. Blogs: Blogs are free, accessible, and allow users a great amount of freedom. Blogs are highly effective vehicles for companies and clients to connect in an online space. They can include testimonials, and can link to and from Facebook, Twitter, and many other pages. Users can also subscribe to them. The Growth of Social Media Advertising infographic clearly demonstrates that social networking has become entrenched in peoples' lives and therefore demands companies to devote resources and advertising budget to growth their presences on social networks. Experience Advertising, has a team dedicated to building a company's presence on the various social networks and effectively managing online advertising budgets. If you are interested in having your social media marketing managed effectively, visit Experience Advertising for a free analysis and quote. The info graphic was created by Blue Polo Interactive. The Glover Park Group and Global Advertising Strategies Announce Strategic Initiative Focused on Russia. Washington, DC based strategic communications and government relations firm, The Glover Park Group, announced today that it has formed a strategic initiative with Global Advertising Strategies, a subsidiary of the 9.8 Group holding company, and a leading market entry firm specializing in emerging economies. The alliance will focus on developing relationships with Russian companies and organizations doing business in the US and with multinational corporations doing business in Russia. To kick-off their strategic initiative, the Glover Park Group and Global Advertising Strategies will co-sponsor the international innovation forum,rASiA.com, on June 24th and 25th in Moscow where Glover Park Group Managing Director and Chief Interactive Strategist, Jonathan Kopp, will deliver a keynote presentation on the transformational power of e-government for increased transparency, innovation, efficiency and participation. Hosted at the Digital October Center, a state of the art tech innovation hub converted from a 124-year-old confectionary factory located in the heart of Moscow, the rASiA Conference will focus on modern global digital and technological trends, from wireless mobile to 3D printing and augmented reality technology. The Glover Park Group and Global Advertising Strategies will also be represented at the rASiA Forum by Joe Lockhart and Givi Topschishvili, respectively. Lockhart, former White House Press Secretary under President Clinton, will be joined by Topschishvili, Founder and President of the 9.8 Group, the holding group behind Global Advertising Strategies. Its a privilege to have been invited to Moscow for this important event, said Lockhart. We look forward to working closely with Givi, the talented team at Global, and other 9.8 Group subsidiaries, to help Russian organizations communicate more effectively with Western audiences, and to help multinationals tap the enormous opportunities in Russia. Topschishvili remarked, The 9.8 Group and its subsidiaries have historically had a strong presence in the emerging economic world, and the Russian marketplace today is filled with innovative, successful companies and organizations ready to be introduced, and deliver their products and services in the U.S. This strategic initiative with GPG furthers our commitment to provide access to new markets for emerging brands as well as those ready to represent their interests in Washington, DC, New York and beyond. About The Glover Park Group:The Glover Park Group is one of the fastest-growing consulting firms in the nation, with more than 150 employees, and offices in Washington, D.C., New York and Boulder, Colo. Launched in 2001 by White House and political veterans, GPG is a full-service public affairs, crisis communications, government relations, branding, creative and research firm. GPG was recognized as the 2011 Outstanding Public Affairs Consultancy by the influential Holmes Report. The firm has developed an exceptional reputation for creating favorable operating environments for businesses, industries and nonprofits, specializing in using smart strategy and cutting-edge creativity to craft and disseminate compelling strategic communication campaigns to a variety of influential audiences and to help organizations achieve reputational and public affairs goals. Our staff embodies decades of corporate, campaign, media and government experience at the highest levels in those fields. About the 9.8 Group: The 9.8 Group is a strategic holding company with a portfolio of specialty firms and branded solutions in technology, media, healthcare, and communications. Throughout its history, the 9.8 Group has successfully capitalized on the most promising market sectors and provided its partners with the opportunity to share the success, while remaining socially responsible and sustainable. 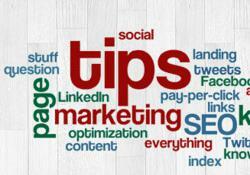 The JM Internet Group, a leader in online pay-per-click training, is proud to announce the first list of top resources of its new 'SEO Tips' blog. The list focuses on Google AdWords Coupons for $ 100 and $ 75 that can save small business advertisers money on the initial setup of Google advertising. Many small businesses are eager to start with advertising online but are inhibited by both the set up costs and the complexity of the difficult-to-use advertising platform that is the Google platform. "Businesses, small and large, use Google AdWords as part of their Internet marketing mix," explained Jason McDonald, Director of the JM Internet Group. "Our mission is to make Internet marketing both simple and effective, so we thought it appropriate to start our first list on the new blog with a list of AdWords Coupons." For more information on how to get the coupons go to http://jm-seotips.org/lists/adwords-coupons/. AdWords coupons are explained both in terms of how to get them and how to use them for the first $ 100 or $ 75 in no cost Google advertising. Many small businesses start their Internet marketing with AdWords because the program is heavily promoted by Google. Microsoft has a similar program for Bing, and of course both Facebook and Twitter have jumped into the mix as well. Business marketers and owners turn to courses like those of the JM Internet Group for assistance in understand the rules of the game. The company's classes on Google AdWords explain issues such as proper keyword selection, the differences among broad, phrase, and exact match types, how to write strong ads, the Display Network, and metrics. For many business marketers this is their first exposure to advertising online and the ability to save $ 100 or $ 75 through AdWords Coupon offers from Google is a big plus. Unfortunately, one has to know where to look to find the coupons. Basic automotive marketing websites have become a thing of the past. Times have changed and as companies have evolved to better suit their customers needs, so has the need to have a website that is user friendly and offers more than just basic contact information. Purpose Advertising has made it easier than ever for automotive dealerships to get enhanced websites that combine advertising and marketing campaigns and are easy to use. On March 15, nationwide bus wraps manufacturer JMR Graphics releases a statement in response to an article discussing a New Jersey school districts plan to advertise on school buses. According to Tri-Town News, the Jackson School district announced it would be voting on the idea of advertising on its 150 school buses at a public hearing on March 21. Tri-Town News reports that the district board of education and administrative staff will have the final say on what type of advertisements make it on the buses to help the district pay for gas, insurance and the repairs needed for old vehicles.